This monogram ring is set in rich, black enamel in a way that allows the gold lettering to take on a three-dimensional quality. The Men's Enameled Monogram Signet Ring in 14K Gold is a striking accessory that will certainly be noticed on your finger. 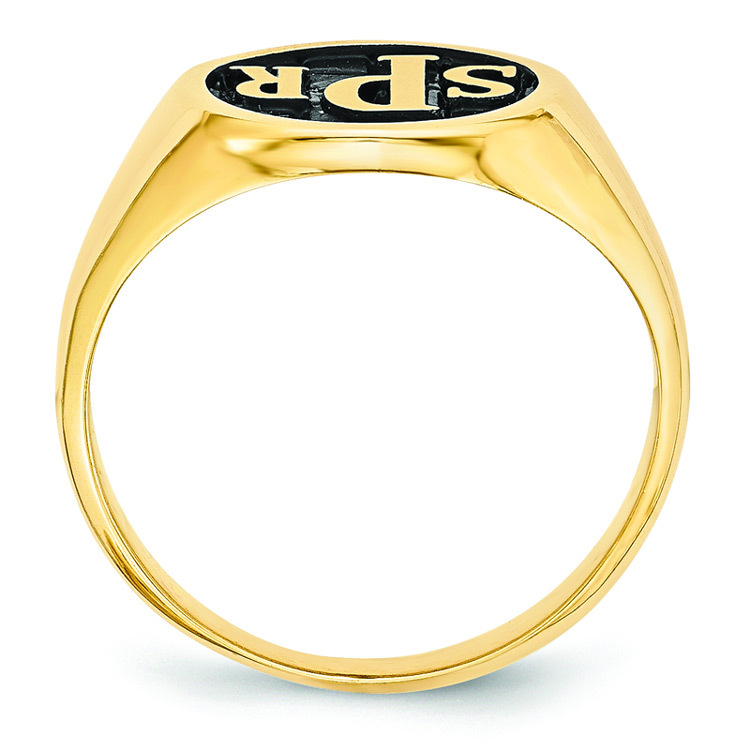 The gold is polished to a beautiful shine and the entire monogram, set against the black background, seems to simply burst from the face of the ring. 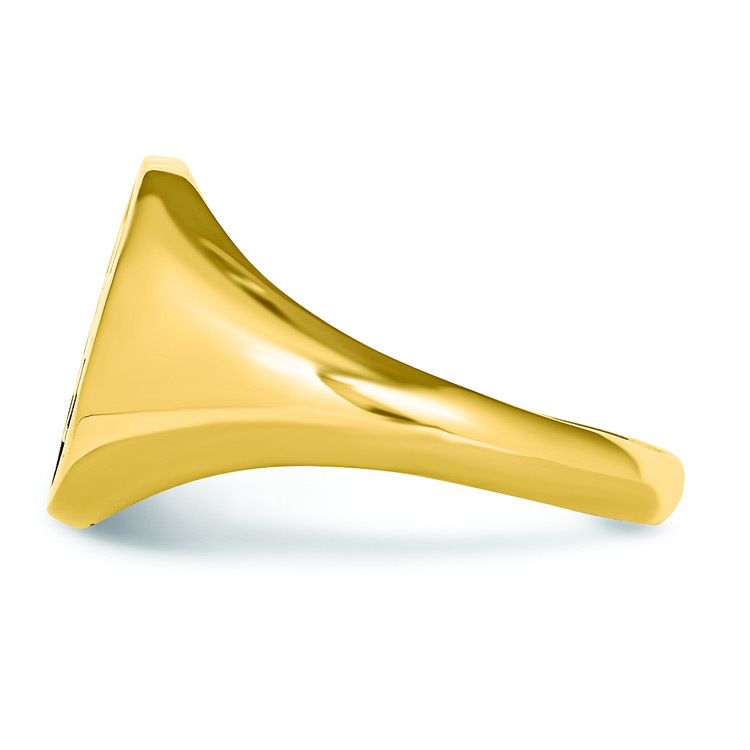 This stately gold ring is cast in beautiful 14k yellow gold and features a band that varies in width from 4mm to 15mm. At the widest point of the ring at the center sits the signet monogram (13mm x 13mm) displaying up to three letters of your choice. These initials are polished to a lustrous shine that is all the more emphasized by the black enamel background of the monogram. The enamel covers the surface with a slight reflective quality that draws in the light toward the ring. Overall, the ring is a comfortable fit and features a rounded edge on both sides. This dignified ring is a classic example of a quality monogram piece that will be worn and treasured for years to come. It is a modern take on the family name seals from past centuries. Face/Top of monogram ring measures 12mm (1/2") round and band measures approx. 3mm (1/8") to 14mm (9/16") in width. 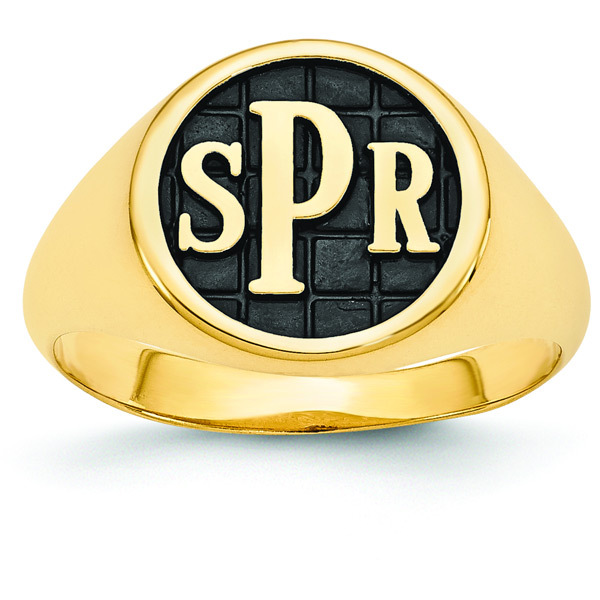 We guarantee our Men's Enameled Monogram Signet Ring, 14K Gold to be high quality, authentic jewelry, as described above.